Are you looking out for the best IAS coaching in Delhi? You will need a trustworthy IAS coaching institute that provides an excellent support system. Generally, students are in confusion while choosing the best coaching for IAS exam preparation. To make your work easy, we have come up with Best tips to help you select the right coaching institute. Be prepared to ask the maximum possible questions. Keeping this in mind, judge the perfect IAS Coaching in Delhi to begin your career. Why Do You Need To Choose The Best IAS Coaching? UPSC has proved to be the strong source of employment in today’s job market. Due to the high level of competition, you need the support of Best IAS Coaching to crack the exam successfully. As per the recent statistics, the numbers prove the same. It depicts that 11 lakhs candidates take up prelims and 5 lakh students appear in mains exam. There are hundreds of thousands of students planning for joining the Best Coaching for IAS exam preparation. Due to the presence of such high demand, the number of IAS Coaching in India is increasing day by day. In most of the cases, faculties working in large institutions are also opening own coaching centers. You can come across the IAS Exam Preparation centers in every major city of India. This results in major confusion for students. Understanding the requirement, here is the list of tips that guides you through the selection process. Extract the maximum information about the Best IAS Coaching in Delhi from all the possible perspectives. Before letting you know about the tips, you must know when to approach the institution. Joining any center at the wrong time is equal to wrong Direction. The primary question to ask yourself – Is there a need to join any coaching for UPSC preparation? It absolutely depends on your skills, capability, and perceptions. If you can organize, monitor, control, and manage your time efficiently then use internet for your self-preparation. Above all this, you must have guidance from senior who has already appeared in IAS exam. In case you do not know any such candidate, the presence of the academy becomes vital. They are well experienced and help you with structured study planning for IAS Exam Preparation. Consider the time you want to take up the coaching. As always history speaks the truth. You can reach out to the students who are already getting Coaching in that IAS institute. Ask their experience with coaching quality, faculties, and Study material. It gives you a brief idea about the institute. Talk to the senior candidates who already belong to the Best IAS Coaching Institutes in the previous batch. If you cannot find any, you can go to the existing batch and discuss personally at IAS Coaching Centers. When you engaged with 3-4 students separately, you will get to know the truth behind the scene. By understanding how the best IAS coaching in Delhi monitors the attendance system, you can predict the discipline maintained. Make sure that your IAS exam preparation is not affected even if you miss any of the classes. Learn about their batch timings and how you can compensate for the missed classes. Will the rescheduled class be your choice or the institution’s decision? If you are pursuing any regular college degree, then take care of timings clash. Join the best coaching for IAS exam preparation, stay positive and work hard. Most of IAS Coaching Institutes in Delhi promise to provides a couple of demo classes for a student to decide the teaching quality. Go ahead and ask for a demo class, pick up the right time to start. Get a chance to sit in the existing ongoing batch. On the other side, you can join the group of new students to take up a demo class. The type of demo class planned will depend on UPSC Coaching in Delhi. A demo class illustrates the learning experience you intend to get after admissions into the Best IAS Coaching of delhi. Learning about the duration of a program by the Coaching Institute is extremely important. Why? You need it to build a systematic time plan and qualitative study approach. Beware that without a proper plan all your study efforts will go in vain. What is meant by the process of coaching? It includes the provision of resource materials, mock tests, and tips to crack the interview. Is Your Selected IAS Coaching Institute follow any unique teaching methods? If yes, discover about how they intend to help you in training beyond the UPSC syllabus. Time management is not the only point of focus. You will also know when to reach the faculty to clear the doubts. Once you discuss the duration take immediate measure to plan your IAS Exam Preparation. Interaction with the faculty members provides you with a better perspective to choose the Best IAS Coaching in Delhi. Educating yourself about the teaching pattern will foster your decision-making process. The Best IAS Coaching institute of delhi demands undivided dedication to finding success in the exam. Your dream of becoming an IAS officer will become true only when your institute provides consistent support. Measure this in terms of mock exams and open discussions they intend to organize for students. Overall, UPSC Coaching in Delhi plans to keep you engaged and take measure to avoid distractions. With the help of such interactive sessions, you can get all the issues clarified easily. Make use of such platform to stay result oriented and determined. Make a note that every IAS Coaching will have a unique set of faculty members. How to decide which institute has an experienced training faculty? It depends on how you take up the responsibility of extracting the right information. The faculty owned by the Best IAS Coaching in Delhi influences your success on a large scale. How supportive are they to the candidates aspiring to take up IAS Exam Preparation? Learn from the existing batch that whether the trainers are available in the leisure time too. Your IAS Exam Preparation majorly depends upon the knowledge base and experience owned by faculty. More the number of students in a single batch, lesser is the efficiency. You can avoid falling into the crowded IAS Coaching in Delhiby learning the student-teacher ratio in prior. Every batch with a limited number of students can enjoy the benefits of personal guidance. You need not to worry about picking up the IAS Coaching isntitute in Delhi! This is because you already know about the faculty. Before focusing on the infrastructure offered at the IAS Coaching in Delhi, get to know the number of branches they own. If there are multiple branches, it shows their proficiency in training. A good infrastructure always brings positive vibes and responsible for building a better learning environment. Make a note that the Best IAS Coaching in Delhi will have the peaceful infrastructure. It is evident that the first thought pops up whenever you meet the Best IAS Coaching in Delhi is fees structure. You will observe that the fees claimed will be almost same in all the Best IAS Coaching Centres. Differentiate them based on the discount offers, extra resource materials, extended support system, etc. Just check who promises genuine offers and then take your decision. Do not forget to check for the availability of installment payment options if needed any case. What are the steps taken by any IAS Coaching in India to help students at a personal level? The skills and learning ability varies from one student to other. Will they consider this issue as the major point? The institute must help the candidates with customized support based on his / her study requirements. Not all the UPSC Coaching in Delhi will offer this element. Get to know whether they will allow the students to access extra information if not understood in the regular classes. The presence of an exclusive student teacher session will allow the space for expressing your difficulties. Only the Top IAS Coaching in Delhi will allow such provisions to students and genuinely care about your success. This shows that an institution has taken the next step to uplift the student-teacher communication. Do not blindly believe the false promises made by the institutes. Everybody can say that they will help you achieve the goal. On the other hand, only the Best IAS Coaching in Delhi will prove the fact to the students. Make sure that you do not fall into the trap of money-oriented IAS Exam Preparation centers. After paying the coaching fee, there is a possibility that the center fails to fulfill all the promises they had made. Dig the right institution that considers your dream to be yours. Trusted coaching center will remain with you as a backbone support system. When you trust the best coaching for the preparation of the IAS exam, his dedication plays an important role in your career. Good organization strengthens candidates and inspires upon failure. It seems trustworthy when a UPSC examination center proves this during your inquiry. Your self-study and hard work determine the success. Keeping this in mind, be mentally prepared to face the IAS exam Preparation with all the confidence you need. Make complete use of all the resources provided by the UPSC Coaching in Delhi. Take extra support from the faculty in your difficult areas. Embrace your skills and improve upon it through consistent practice. It is not enough if you are good at only aptitude skills. This is possible if you are in the hands of Top IAS Coaching in Delhi. Start your IAS Exam Preparation by choosing the Best IAS Coaching in Delhi. The major goal of all the IAS aspirants is to work on improving the health and prosperity of society. Keeping such an inspirational thought in mind, thousands of candidates take up the IAS exam. 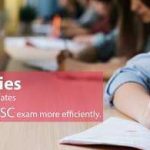 This article has covered all the tips and information required to choose the right IAS Coaching in India. Remember the fact that you cannot finalize the good UPSC Coaching in Delhi in one night. Every Top IAS Coaching in Delhi claims that they own the great training quality. It’s your turn to make an intelligent decision that shapes your career. For Detail Information Please Contact to Elite IAS – India’s Premier coaching institute for UPSC Exam preparation.